Our Irish history is a hard one. We starved in the famine. We lost our land in the plantations. However, none have suffered throughout our history like our women have. One of the most well-known moments from our past, the 1916 Rising, has attempted to erase the brave women soldiers, workers and nurses from our history. More than 100 women are said to have been directly involved in the Rising. Most were part of the republican organisation Cumann na mBan. Their work included medical staff doubling up as riders, feeding the volunteers, treating the injured and fighting by the ‘use of force by arms against crown forces in Ireland’, as stated in their constitution. But they are not in the history books and they are not mentioned as rebels of Ireland. In fact, during the Rising, Eamon De Valera even refused to allow women fighters in his garrison. But in the end, it was Elizabeth Farrell who would walk into the line of fire and cross the city to inform the Rising leaders of the decision to surrender. She was also the first to walk up to British Soldiers to surrender alongside Padraig Pearse but was obscured and airbrushed out of the photo. A darker side of our history is the Magdalene Laundries or Asylums. Lower Leeson Street, Dublin, 1765, the first Magdalene laundry was founded to hide the ‘fallen women’ of society. If you were a woman who became pregnant out of wedlock (marriage) in Ireland you were sinful, tainted and unholy. Most of these girls, some of who were assaulted, were disowned by their families and sent to the laundries to work, as you can imagine the boys who participated had no punishment. The Catholic nuns who ran these institutions earned money by overworking the girls, washing the linens of wealthy families and by selling their children to families looking to adopt. 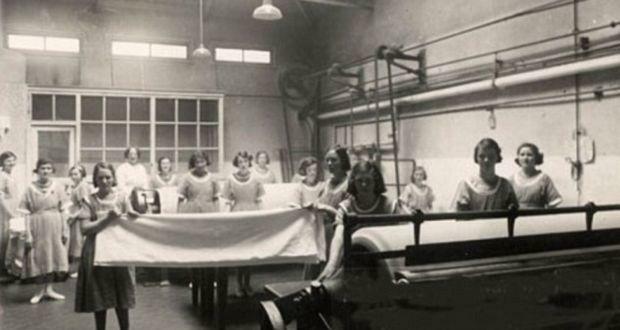 The Magdalene laundries expanded and began to take in ‘promiscuous’ women, mentally ill women, criminals, orphans, women from poverty or any woman they could get their hands on. Picture the Salem Witch Trails but with nuns. The more women, the more workers, and adoptions you had and that meant more money. The Catholic Church supported these laundries because they brought in so much money, but at the cost of the women suffering. Many, if not all the girls in these laundries were beaten, abused verbally, physically and sexually humiliated and had their humanity and dignity stripped away. This isn’t a long gone forgotten memory of the past, the most recent inmate to be placed in a Magdalene Laundry was 1995. That Laundry was the last of its kind in Ireland and closed only one year later in 1996. Over the 231 years the Laundries were open, it’s estimated that 30,000 women were trapped in these institutions. In 1993, the land underneath one of the old laundries was discovered to be the site of a mass grave containing 155 bodies. We have never gotten answers or repercussions for any of these horrors from either the Magdalene nuns or the Irish State who funded and sent thousands of girls to these prisons. I understand these seem to be ‘worst case scenario’ examples, but these are the realities faced by Irish women. But if you believe that these are special cases and the ‘normal’ women of Ireland aren’t treated with the same attitudes I can disprove that ideal as well. The 1970’s were a special time. It was the time in our history when people started to question social norms, religions control and equality but that doesn’t mean it was a progressive decade. 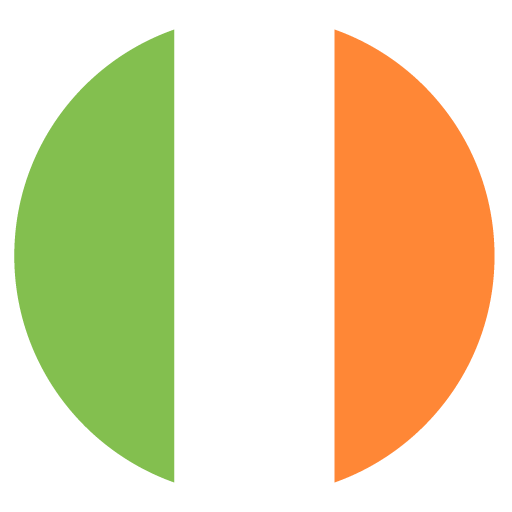 Let me give you some examples of what discrimination Irish women faced. Once a woman was married, they were forced to leave their jobs in the public sector and often in private sectors as well, their place was in the home. By Irish law, women could not own their own home. Women had no right to share the family home and her husband could sell the property if he wished. This also stopped women from sitting on a jury as you had to be a homeowner. Women had no right to refuse her husband in bed, The Husband had the right to his wife and that right overruled consent. In connection to this, women couldn’t take out a restraining order against a violent partner or buy contraceptives as it was illegal. Women were not paid the same amount as men for work. The average hourly wage for a man was 9 shillings compared to the women’s average of 5 shillings an hour. A 44% difference. Women weren’t allowed collect their children’s allowance, it could only be paid to the father, leaving single mothers in poverty, but as we’ve seen those women were at risk of being sent to the Magdalene Laundries. And the last one I’ll talk about is a simple one but like the rest, places Irish women as second-class citizens, hidden away. The picture you see below is a ‘snug’. Most bars refused women entry or service, and if you found a rare pub that did, this is where women were sent. In a small room, hidden behind closed doors so they don’t disturb the men. Our history has a bad habit of hiding Irish women away. But more recently that hasn’t been enough. Our country is also responsible for the death of our women. The Health Service Executive, or HSE, of Ireland recently stated that more than 200 cervical smear results should have had earlier intervention or were completely misdiagnosed. This resulted in 17 women dying of the neglect. Only two of those women who died knew they had been misdiagnosed. It’s still unclear how many more of the 200 women will die because of this. Vicky Phelan, one of the women affected, went for her smear test in 2011 and was told her results were normal. The missed results were first noticed in 2014. In the same year, Vicky went for another smear test which indicated an abnormality. Her doctor wasn’t informed of the diagnosis until 2016 and then Vicky wasn’t informed until a year later, and she was given 6 months to a year to live. This is the death sentence that has been given to these Irish women. Deaths that could have been avoided through better care. We have also been responsible for the death of women in our maternal care. The Constitution has long been a barrier for women seeking care during pregnancy. It tied the hands of doctors whose patients were at risk if the pregnancy went to term. From fatal foetal abnormalities to mental health risks and the ‘hard cases’ of assault, our constitution left the mothers vulnerable with no bodily integrity, or choice. The death of Savita Halappanavar, a 31-year-old dentist, is a tragic death that could have been prevented. In August 2012 Savita found out she was pregnant, her and her husband were thrilled at the news. At 15 weeks all was normal except for some back pain which led to a foetal anomaly scan being booked for that December. But just over a week later, Savita and her husband went to a gynecology ward. She had arrived crying and the doctors discovered she would inevitably miscarry. The doctors found a heartbeat, so they simply had to wait. Savita began vomiting violently and had a rupture of the membranes. Later she was experiencing bleeding, but the pain had eased. She was warned about the risk of infection and sepsis. Savita and her husband then asked if the inevitable miscarriage could be induced to prevent Savita’s suffering. The response was, ‘under Irish law, if there’s no evidence of risk to the life of the mother, our hands are tied as long as there’s a foetal heartbeat’. She was then later diagnosed with an infection and septic shock. She went on to deliver naturally and was transferred to a High Dependency Unit. There she suffered a cardiac arrest and died on the 28 of October, almost a full week after admission to the hospital. Her and her baby died because the doctors weren’t allowed to give her the treatment she needed. On the 25th of May 2018, we changed history by voting YES to change our constitution to allow women to receive better care. We repealed the 8th and decriminalised abortions. Together we took a step forward in Irish history to leave behind our mistreatment of women. In the #MeToo era, Irish women and men stood up to fight for the rights of our women, and we did it. But it’s not over, we will always have to fight against the equality and discrimination we face. But now as a country, we are ready to change. The silent screams of Irish women will no longer go unheard. Joanne Grattan is a Coding mentor and an activist. She wants to use her articles to start a discussion about issues in our society, technology and how they interact. Dual Screen Devices – The Next Big Thing?